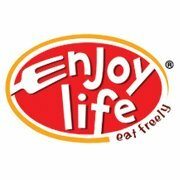 I Am So Thrilled To Be Working With Enjoy Life Foods Again! Love Chips?! Be Sure To Check Out My First Review Of Plentils Crunchy Lentil Chips From Enjoy Life Food's HERE! When Enjoy Life Foods Mentioned Chocolate, I Was So Excited For These Products To Arrive! Who Doesn't Love Chocolate?! Enjoy Life Foods Was Founded In 2001 & Has A Mission To Make Great-Tasting, Allergy-Friendly & Gluten-Free Foods That Everyone Can Eat Without Worry. The Enjoy Life Product Line Is Gluten-Free, Wheat, Dairy, Peanut, Tree Nut, Egg, Soy, Fish & Shellfish Free! Double Chocolate Crunch Granola Is All Natural & Is Made W/Enjoy Life Semi-Sweet Chocolate Mini Chips! (Yum!) Granola Is Always A Great & Healthy Snack Or Enjoy It W/Milk In The Morning! The Mega Chunks Are Not Only Delicious Right Out Of The Bag, They Are Great To Use When Making Your Favorite Cookie Or Dessert! What Food Would You Like To Try From Enjoy Life Foods?! Purchase Your Own Enjoy Life Foods Online Or At Your Nearest Whole Foods Store! Connect With Enjoy Life Foods On Facebook, Twitter & Pinterest! Enjoy Life Food seems delicious and healthy. I have not heard of this brand, but it is great to find out about healthy snacks for our kids. The Double Chocolate Crunch Granola looks wonderful and would be super to put in yogurt. It sure looks tasty, and I'd love to try it. This looks and sounds amazing! Guess what I am getting for mom for her b-day! That way I can try it too! lol Just kidding! This looks really good and I love that it has all natural ingredients in it! So many foods these days are just all chemicals! i ate something the other day and just could taste chemicals! it's insane. These look like great products. I will have to keep a look out for them in the store.